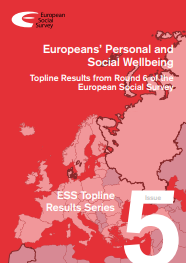 The European Social Survey (ESS) is a cross-national survey that has been conducted in around 30 European countries every two years since 2002. In each country, a minimum of 1,500 respondents take part in a one-hour face-to-face interview. Switzerland has participated in all rounds since the very beginning. The respondents are drawn from a probabilistic sample representing the countries’ population aged 15 and above. 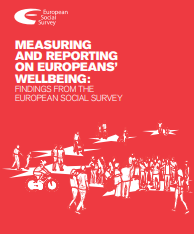 The ESS measures values, attitudes and behavioural patterns of the populations of European countries. In order to obtain high-quality internationally comparable data, the methodological specifications of the survey are very precise and rigorous. In 2005, the project’s scientific quality earned it the prestigious Descartes Prize. The questionnaire is divided into two parts. The first part, the “core module”, consists of socio-political, socio-economic and socio-psychological questions. The core module also gathers information regarding the respondents’ socio-demographic profile. These questions remain the same in each round. The second part includes two or more periodically repeated modules that focus on specific topics. The purpose of these rotating modules is to provide a broader insight into a series of issues that are of particular academic or political interest. A supplementary section is dedicated to the Schwartz human values scale and a selection of experimental tests. Increase the visibility and accessibility of statistical data on social change in Europe, not only for researchers and policymakers, but also for the media and the wider public. Initiated by the European Science Foundation, the ESS is coordinated by the Centre for Comparative Social Surveys at the City University of London. At the end of 2013, the ESS was awarded the status of a European Research Infrastructure Consortium (ERIC). ERICs offer unique research opportunities to the participating countries and greatly enhance the advancement of knowledge and the development of technologies. 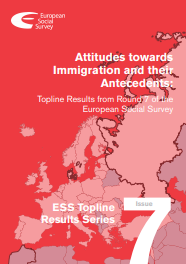 Each participating European country carries out the survey in accordance with the methodological rules established by the central ESS-ERIC team. In the case of Switzerland, FORS is responsible for the execution of the survey. Under the lead of Michèle Ernst Staehli, the Swiss ESS-team performs the following tasks: translation of the English source questionnaire into three national languages (French, German and Italian), sample drawing for Switzerland, development of specific survey methods, cleaning, processing and documentation of the Swiss ESS data. The fieldwork is carried out by a specialized agency. The international project planning and organisation, the questionnaire development, and the data archiving are funded by the members of the ESS-ERIC. The planning and operationalisation of the survey in Switzerland is funded by the Swiss National Science Foundation (SNSF). The source questionnaire must be developed with particular care in order to enable cross-country comparisons. The questions are pre-tested in several countries. Emphasis is also placed on the quality of the question translations. The specialists of the ESS Core Scientific Team provide the national teams with guidance regarding their translation procedure. The specific process for translation and assessment is called TRAPD (translation, review, adjudication, pretesting, and documentation). Regional or international events can greatly affect attitudes and perceptions of survey participants. An act of terrorism or an economic crisis can have a strong impact on responses. Hence, during its fieldwork, the ESS also records important media events (ESS media claims). This allows future data analysts to gain a better understanding of the national contexts in which the questions were asked. The quality of a survey depends to a high degree on the sample drawing procedures. The Core Scientific Team is supported by a group of specialists who advise and validate the national samples. In order to ensure the sample of the population is as representative as possible, the protocol prohibits quota samples and encourages the participating countries to achieve high response rates. To this effect, the methodological procedures are constantly improved (e.g., intensive interviewer training). Since the third round, Switzerland has achieved a response rate of more than 50 percent, which is an exceptionally high for this type of survey. The interview is held face-to-face and takes approximately one hour. Each interviewer conducts only a limited number of interviews in order to improve the quality of the collected data. The ESS is declared a survey of national importance and funded by the Swiss National Science Foundation. Hence, a sample of individuals can be drawn randomly from the sampling register of the Swiss Federal Statistical Office in accordance with Art. 13c, para. 2, lett. d, of the Ordinance on the Execution of Federal Statistical Surveys dated 30 June 1993. The questionnaire is divided into a main module with core questions that remain unchanged in every round and a second module that focuses on specific topics that are periodically repeated. The goal of the core module is to study the evolution of a large spectrum of social indicators. These include the use of media, the degree of trust in the social environment, political participation and the perception of institutions, subjective wellbeing, feelings about discrimination, attitudes toward exclusion, as well as national, ethnic, and religious identity. The core module also includes a part that collects information on the respondents’ socio-demographic profile. The repetitive nature of the core module enables observation to be carried out regarding how these topics change over time. The rotating modules that focus on specific topics vary with each round of the ESS. Research groups can propose modules on specific topics that are of particular interest. These can include new topics (e.g. fairness and justice), but also modules that were already included in previous years (e.g. timing of life, which was carried out in 2006). These modules enable specific topics to be expanded upon or deepening. A supplementary section is dedicated to the Schwartz’ human values scale and a series of experimental tests. After completion of the fieldwork, FORS reviews and verifies the data and processes it, so that it can be integrated into the central data archive of the ESS. The anonymised ESS datasets are freely available to researchers and other interested parties after registration and agreement to the data use conditions. The data can be downloaded from the ESS website as SAS or SPSS files. For users who do not have access to statistical software, the ESS website also offers an online analysis tool. The Swiss ESS data is also available on the FORS NESSTAR SERVER. This server also provides exclusive access to additional, country-specific questions surveyed in Switzerland, and to the German and French language versions of the dataset. Further information on the survey, the data and variables is also available here. NESSTAR provides only a limited selection of the Swiss ESS data. The overall dataset is available on the FORSbase data catalogue. For cross-country comparisons, the data has to be weighted by population size of the respective countries in order to ensure correct representation of each country. The ESS calculates these weights for all participating countries (see ESS population size weights). Depending on the national sampling design, the data of certain countries has to be weighted to account for sampling design bias (see ESS design weights). For Switzerland, only the ESS data from 2002 to 2008 requires such design weights. Starting in 2010, the respondents are drawn from a one-stage national random sample of individuals; hence the data from 2010 requires no weights. Researchers are requested to respect the data use conditions, in particular the proper citation (see correct citation for Swiss data sets) in articles or other forms of publication. All publications that reference the data must be communicated to the ESS bibliography. Users who want to expand their knowledge on statistics in the social sciences can attend a free online-course: EDUNET provides both theoretical and practical tutorials including correction/proofing using ESS data. 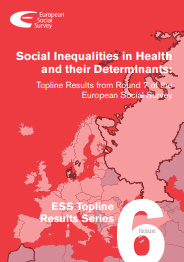 The ESS is one of the most important data sources for the comparative social sciences. Many researchers use ESS data on a daily basis and there is a vast number of publications that use ESS data. Moreover, ESS data is also used for student training at many universities. ESS keeps a list of publications that use ESS data.